The best soil type for plants is the soil that delivers the right proportion of water, nutrients and oxygen to the plant when it needs it and in the form that it can use it. Major soil types include loam, sand, silt and clay. The soil in your garden is most often a mix of these types. Good soil is not a static condition. You must continue to add nutrients to the soil after plants consume them each season. Loam is a balanced mixture of sand, silt and clay soils with organic matter and plant nutrients. Loam supports a wide variety of plants. Gardeners desire loam because water and soluble nutrients pass through its particles at a rate that allows the plant's roots to absorb the water without becoming soggy. The smaller clay and silt particles retain nutrients, while the larger sand particles improve drainage and air movement. The National Sustainable Agriculture Information Service advises "[i]f you grab a handful of soil, good structure is apparent when the soil crumbles easily in your hand. This is an indication that the sand, silt, and clay particles are aggregated into granules or crumbs." Sandy soil drains very well. Sand particles are relatively large, leaving room for air and water. Sandy soil does not hold onto nutrients very well. Add fertilizer and organic materials to the soil to increase the amount of nutrients in the soil. Organic material will also help to hold the nutrients so that they are available to the plant over a longer stretch of time. A predominantly sandy mixture is best for plants that cannot tolerate soggy roots. Sandy soils can help to extend the growing season because the air in the soil will help to warm the soil earlier in the spring than for soils with a low volume of air, notably clay. Organic soil is the best type of soil for plants regardless of soil texture or particle size. Home gardeners are not confined to strict guidelines over the definition of organic as are commercial growers. For the home gardener, organic soil is soil that is not treated with chemical additives. 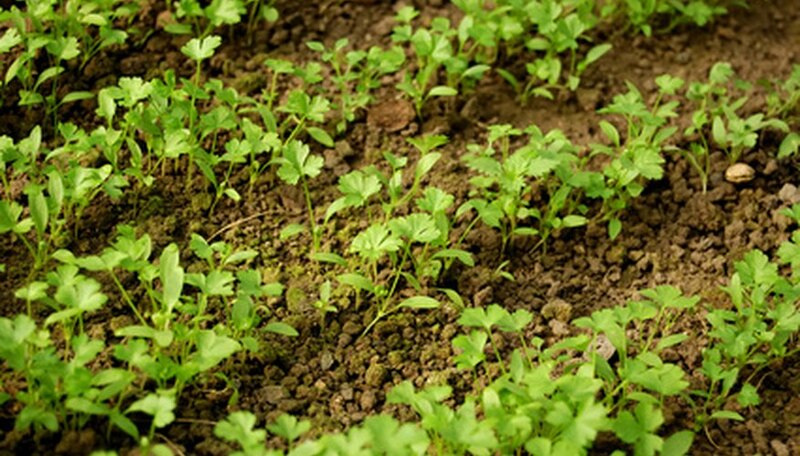 Improve organic soil by adding naturally occurring materials, including "bird and animal manures, plant (green) manures, cover crops, compost, sea products, and mixed organic fertilizer," according to the University of Florida IFAS Extension. This is good for plants because it will improve the structure of the soil, increase the temperature of the soil and improve the ability of the soil to hold water and nutrients.